Developed by Yamaha alongside some of the greatest players in the industry, the Xeno line was the company's first to fully incorporate a "heavyweight" bell design across all models. Xeno trumpets blend outstanding instrument design and advanced technology with the experience of respected artists around the world to make one of the most sought-out trumpets by top musicians worldwide. These exquisite, expertly-crafted instruments are defined by outstanding power and projection, combined with refined resistance and highly responsive action for extraordinary tonal flexibility. Xeno trumpets continue to evolve with the artists who play them, towards the ultimate goal of ideal musical expression. Only 100 of the new YTR-8335IISKG Xeno trumpets will be made, designed with unique features including gold-plated trim, black mother-of-pearl finger buttons and special "Kangakki" (which means "wind instrument" in Japanese) engraving on the bell. These enhancements speak not only to the rich history of advancements in Xeno design but also to their modern, state-of-the-art production. "Xeno trumpets are the pinnacle of modern trumpet design," says Brian Petterson, marketing manager, Yamaha Winds, Yamaha Corporation of America. 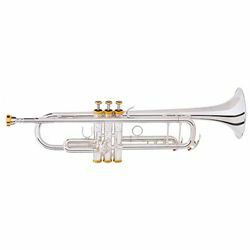 "This Kangakki Xeno trumpet is a unique and beautiful instrument that exemplifies the research and development team's industry-leading, customer-focused philosophy of Innovation that Inspires."